The billions of data points that UMG and its artists generate through music, ticket and merchandising sales, streaming, social media and airplay are a powerful marketing tool that can generate revenue opportunities for artists, record labels, advertisers and brands. Music data across multiple artists and genres have been layered with behavioral data to allow for a deeper understanding of the mutual relationship between artists, music fans and brands. Universal Music Group have worked with Havas Group to aggregate and contextually analyzed this data. The results will provide new revenue opportunities for UMG artists and labels by creating powerful marketing and advertising opportunities for brands. It is a trend that is seeing new light with brands and the entertainment industry working together to co-create content and services. Essentially, what Universal Music has done is to blur the lines between brands and bands, with music being content, data, social and media. Consumer patterns and segments are being developed, which can be applied across thousands of artists’ online and mobile properties. Moreover, this is an opportunity for UMG labels, artists and advertisers to have access to unprecedented consumer insights, which can be used to guide marketing and advertising opportunities for brands and artists alike. To make advertisers’ decision to invest in music-related opportunities much more accountable, they will need to identify which genres and which specific artists appeal to their consumers by co-ordinating in depth music-related opportunities that will attract those consumers. 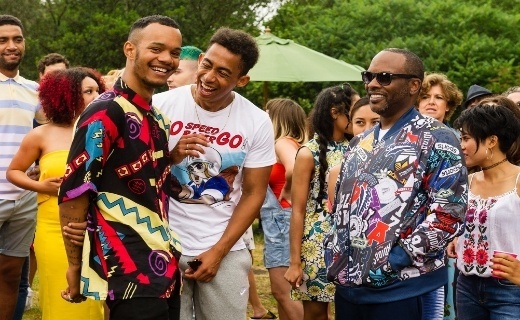 DJ Jazzy Jeff and The Fresh Prince (a.k.a. 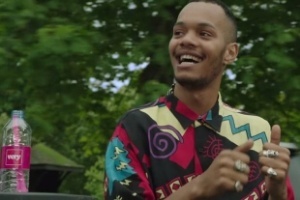 Will Smith) had one of the 90’s most catchiest theme songs, "Summertime," which has now been re-created by London duo Rizzle Kicks for the very first “shoppable” YouTube ad. This successful campaign proves how music can be used to connect with consumers by matching the right genre of music, which would appeal to a niche target audience. Using previously available customer data, this retail brand was able to determine which music genre and artist would most likely be influential to its target market. The music genre and the overall vibe of the ad is what initially connects music fans emotionally with this innovative music ad. Everything that is seen in the video is available for purchase, with the top banner of the video displaying “shop this video”. By knowing the consumers’ preference for hip hop music, the brand was able to cater to its specific fashion taste as well. Afterall, hip hop music and fashion go hand in hand. Shopping for a hiphop outfit while watching a hip hop music video is a match made in retail heaven. Music fans were also offered the exclusive “Summertime” track to the first 10,000 fans who visited the Very site. Again, exclusive content was appealing to music fans and a great way to achieve high digital engagement. Entertainment drives business, and that's what makes #Summertime an exciting idea. By integrating shoppable technology into the music video, this campaign drives customers to the online retail shop in a smart way. By latching on Very’s music fan's passion for hip-hop, the fashion brand was also able to grow brand affinity with its consumers. Using music as a language and creating a culture around it, gives brands opportunities to create authentic connections with consumers. With the technologies that are available digitally, via smartphones and apps, marketers can now have access to valuable consumer data. Brands can further leverage the common passion they share with music fans, which allows them to create more meaningful consumer experiences by tapping into their emotions. By using music to get to know customers, brands can turn music-lovers into brand fans. Here, at Tuned Global, we partner with brands to help them deliver white-label digital music as an activator to collect valuable data. Using customer data, brands are able to build a buyer persona and tailor messages and offers for their specific target audience. The result of which is high ROI, and an opportunity to nurture long-term customer engagement by allowing brands to keep the connection back to their customers.